Feel like royalty during your stay at The Arch London. The luxury boutique hotel has a special Royal Wedding Package. To celebrate the Royal Wedding of Prince Harry and Meghan taking place May 19, 2018, five-star boutique hotel The Arch London has created a lavish Royal Wedding package. The Arch London is offering the ultimate luxury getaway so guests can celebrate the big day in style and be treated like royalty. The Royal Wedding package includes a two night stay in an extravagant two-bedroom suite with a large entertainment lounge and private courtyard or kitchenette. During their stay, guests will be treated to a Best of British three-course dinner in the hotel’s stylish restaurant Hunter 486. The following morning guests will receive the ultimate Royal treatment whilst indulging in a luxurious Champagne breakfast. This will be followed by a quintessential Royal Afternoon Tea for a truly British experience. The exclusive package includes a tour of Windsor Castle which is the venue for the Royal nuptials and home to The Queen, boasting over 900 years of Royal history (no tour on May 19, Wedding Day). The package also includes a £100 Fortnum & Mason shopping voucher for a truly exquisite shopping spree. 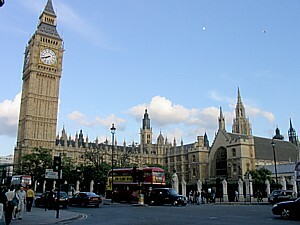 The Arch London will also arrange airport transfers for guests. The Royal Wedding package is priced at £3,900 per room for a two night stay based on two people sharing. The package is available exclusively throughout May 2018. The Arch London is a luxurious Georgian townhouse hideaway in the heart of central London. Located in an affluent area of Marylebone, across the road from Queen Madge’s London pad, the hotel is the perfect place to make guests feel like royalty. The hotel is tucked away on a quiet residential street, a stone’s throw from Bond Street, Hyde Park, the West End and London’s top attractions, and spans seven Grade II listed Georgian townhouses and two mews homes. The Arch London is offering guests a complimentary two-course dinner for two people when staying on a Sunday night on a bed and breakfast basis. Guests can enjoy a two-course dinner from the ‘Best of British’ inspired menu at the boutique hotel’s stylish restaurant Hunter 486 – which is named after the 1950s dialing code for Marylebone. Hunter 486 has an extensive wine and Champagne list with 27 available by the glass, and has been awarded the one-star award in The World of Fine Wine World’s Best Wine Lists 2017. Adjacent to the restaurant is Le Salon de Champagne. This stylish area has a unique arty ambience with intimate secluded leather booths veiled with floor-to-ceiling silk voile drapes and oozes timeless London glamour. In addition to a complimentary dinner, guests can also take advantage of complimentary WiFi, Nespresso coffee, tea making facilities as well as complimentary soft drinks from the minibar. Each guestroom features luxurious amenities which are personally designed to anticipate guests every need. A handpicked selection of classic novels can be found in the suites, while all rooms have a full Sky HD TV package, DVD Player and internet radio with over 19,000 channels for international guests. The bathrooms feature modern flourishes such as heated anti-steam mirrors and flat screen TVs built into the wall above baths. Prices start from £350 for a Deluxe Room and from £420 for a Suite. Dine for free offer is valid until April 30, 2018. The Arch London, 50 Great Cumberland Place, Marble Arch, London W1H 7FD, reservations, call: 020 7724 4700 or www.thearchlondon.com. Those seeking an elegant alternative to hotel accommodations will find this and much more with Connoisseurs Scotland’s newest addition, Braemore Apartments. The collection of self-catering properties (chefs are available) in Edinburgh’s historic New Town provides guests a luxurious experience with the freedom and comfort of home. The stylish apartments – each a unique blend of Georgian architecture and contemporary design – offer the privacy of an exclusive-use property with the luxury and service of a five-star hotel, where professional staff can create a tailor-made stay for each guest. Although carefully restored to preserve their traditional grandeur, the apartments are outfitted with a multitude of modern amenities: power showers, Sky television, wireless internet access, DVD players, iPod docking stations, fully equipped kitchens and fully integrated music system controllable from every room. 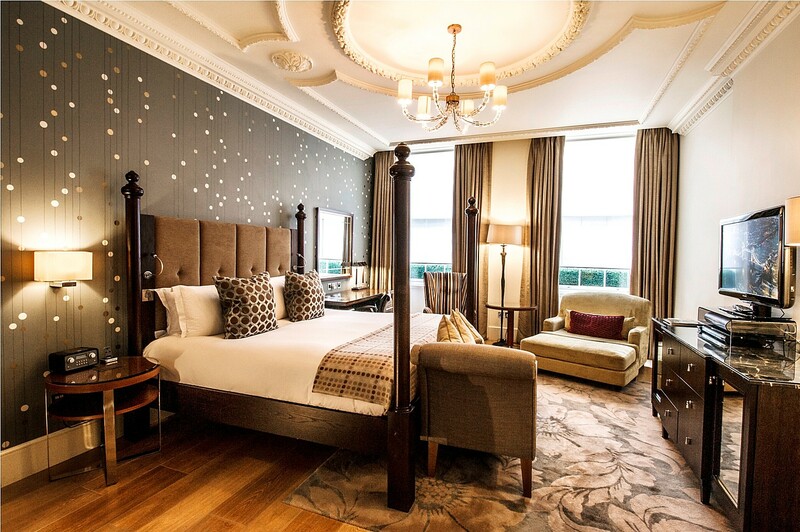 The prime location of the properties provides guests with easy access to all Edinburgh has to offer, from historical attractions and world-class theatres to stylish boutiques, fine dining – including seven Michelin-starred restaurants – and a vibrant nightlife. A dedicated staff and knowledgeable concierge ensures no detail is overlooked, whether it is a bottle of champagne upon arrival and a chef to cook meals or the arrangement of airport transfers, beauty treatments and tickets for the theatre, concerts and other events. Golf aficionados can head off to test their skills on some of Scotland’s championship courses – from Turnberry in the west to Domoch in the north and St. Andrews in the east. Braemore’s golf specialist, whose possesses extensive knowledge of the golfing landscape, can make the arrangements as well as suggest several nearby distilleries, an important aspect of the post-golf routine. More information, including pricing and availability, can be found at www.braemoreshortlets.co.uk. Connoisseurs Scotland’s 25 members encompass four of the world’s finest golf resorts, including Gleneagles, Turnberry and Old Course; Inverlochy Castle, voted the best hotel in Europe several times over; seven outstanding city center properties including Prestonfield, Edinburgh’s only 5 Red Star hotel; a 19th-century castle health spa; a collection of intimate country house hotels; the Royal Scotsman luxury train; an exclusive use property; and three properties set in scenic coastal locations. Five properties boast Michelin-starred restaurants. Information on Connoisseurs Scotland, its member resorts and special offers can be found at www.luxuryscotland.co.uk. Whether you are seeking a vibrant, fun-filled celebration or a private getaway for Christmas and New Year’s, Connoisseurs Scotland’s Turnberry Resort makes for the perfect family destination. The 5 Red Star resort, normally closed during the holiday season, is opening its doors to offer guests an 8-night “Festive Experience” featuring a full program of activities for young and old, lasting from Christmas Eve to New Year’s Day, and accommodation in one of the hotel’s 150 stylish guest rooms. Those preferring a more private affair can choose a 7-night self-catered holiday in one of the eight fully-equipped Lands of Turnberry Apartments. Guests choosing either package can relax with ESPA spa treatments, enjoy adventurous outdoor activities such as off-roading and clay pigeon shooting, dine in the renowned 1906 restaurant or simply take in the stunning views of Ailsa Craig and the snow-capped mountains of Arran afforded by Turnberry’s location overlooking the Ayrshire Coast. The eight-night “Festive Celebration” kicks off with a night of Christmas Eve activities: carols and mulled wine around the grand piano, a three-course dinner in 1906 and an optional midnight service with mince pies and hot chocolate upon your return. Guests awake to personalized stockings and a hearty Scottish breakfast on Christmas morning, followed later in the day by a champagne reception, Christmas lunch, showing of the Queen’s Speech and an evening buffet and quiet drinks. Boxing Day features a drinks reception followed by a gala dinner with at-table entertainment, a live band and dancing. The centrepiece of the holiday is Hogmanay, where a champagne reception precedes a black-tie celebration featuring a lavish five-course meal – prepared by Head Chef Justin Galea and his award-winning team – dancing, live ceilidh music and traditional Scottish activities. Children enjoy a Young Explorers’ Club with face painting, games and arts & crafts; Hogmanay Party with music, dancing, food, drinks and games; and a sleepover service until 3am on New Year’s Eve. Pricing is £2,615* ($4,089) per classic room, double occupancy, for an eight-night stay between Dec. 24 and Jan. 1 and includes a full program of meals and entertainment. For a more intimate holiday, Lands of Turnberry offers a range of two to six bedroom self-catering apartments that offer the privacy of home with the benefit of having luxury resort amenities within walking distance. Each of the eight apartments have spacious bedrooms with en-suite bathrooms, fully-equipped kitchen and dining area, large living room with fireplace, TV with Freeview and DVD, WiFi and washing machines. Visitors enjoy VIP access to Turnberry’s collection of championship golf courses and unlimited use of the spa facilities: swimming pool, sauna, steam room and relaxation lounges. Aside from the amenities offered by the hotel year round, guests staying in the private apartments during the holiday season will also have the option of participating in any of the hotel’s celebrations – such as the gala events on Boxing Day or the black-tie dinner on Hogmanay – on an a la carte basis. Pricing for a seven-night stay starts at £995 ($1,556) for a two bedroom apartment, based on up to six occupants, and includes full Scottish breakfast daily. Additional bedrooms can be added to the apartment for a rate of £385 ($602) per bedroom for the seven-night stay. Connoisseurs Scotland’s 23 members include three of the world’s finest golf resorts, Gleneagles, Turnberry and Old Course; Inverlochy Castle, recently voted the best hotel in Europe; several outstanding city centre properties including Prestonfield, one of only two 5 Red Star Hotels in Edinburgh, and the recently refurbished Sheraton Grand; a 19th-century castle health spa; a collection of intimate country house hotels; the ultimate luxury train; the finest hotel afloat and an exclusive use property. Five of the members boast Michelin-starred restaurants. For iInformation on Connoisseurs Scotland, its member resorts, partners and special offers visit www.luxuryscotland.co.uk.